A HackDay (http://goo.gl/xNofr) is basically a day to unleash your creativity to create something interesting, whether for yourself, your team, your company, or even the world at large. “Hacks” can be anything you want. It can be a learning experience for yourself to improve your skills, it can be something technical like creating a website or authoring a video. It can be something totally creative like an art project or a photo contest or writing some prose. You can make it anything you want it to be. The only catch is you need to participate and do something. That’s it. That’s the fundamental rule of HackDay: participate. 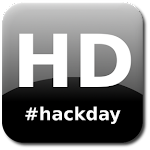 Join a HackDay and engage your creativity. Take some time and try something new, expand your horizons, see where it goes. Don’t worry about completing anything or finishing, it’s much more important to start on your journey than to worry about the destination. Share this and your stories with others and be sure to use the #hackday hashtag whenever you do.